Among the older revenge dramas that still carry an impact today. Bharathan’s Thazhvaram definitely finds a comfortable place. Among the older revenge dramas that still carry an impact today. Bharathan’s Thazhvaram definitely finds a comfortable place. The comparisons the film has invited several times with those Italian spaghetti Westerns is not surprising given its tropes and themes. There is the perpetually brooding stranger with vengeance on his mind; the wide-angle photography; the tense mind games between the protagonist and antagonist; and the arrival of these two men upsetting the peace of a lonely home. The film opens with a wordless scene: a vintage photograph of two men (presumably friends) cut in half with a big knife. One of the men in the photograph, Balan (Mohanlal) is doing the cutting; the other man is Raghavan (Salim Ghouse), who we later learn is responsible for destroying Balan's life. Balan makes a visit to a desolate village carrying the same blade he used to cut the photograph, with the sole intention of finding Raghavan. What sets Thazhvaram apart from other revenge thrillers is that it managed to set a mood much different from that of other revenge thrillers of that time. We know Balan is out for revenge, but how does the story get us to care about him and his purpose? For that, the present actions of the deceitful Balan is shown to us instead of those from his past. Our contempt for Raghavan is built little by little , and eventually we end up rooting for Balan. It's inevitable that one of the men will get killed -- or maybe two. And the vultures are excitedly circling overhead in anticipation of their next meal. They welcome Balan in the opening frames and show up again in the end when the duel is about to begin. Bharathan's choice of location for this story is apt. It's as if the land has been doomed from time immemorial. And the men and women living there seem to be affected by some kind of curse. The women who make the choice to go with these men are inviting trouble for themselves. It's at least true of Balan and Raghavan; and the third man Nanu who is the father of Kochutty (Sumalatha). It's in the fatherdaughter's home that Balan takes refuge in. 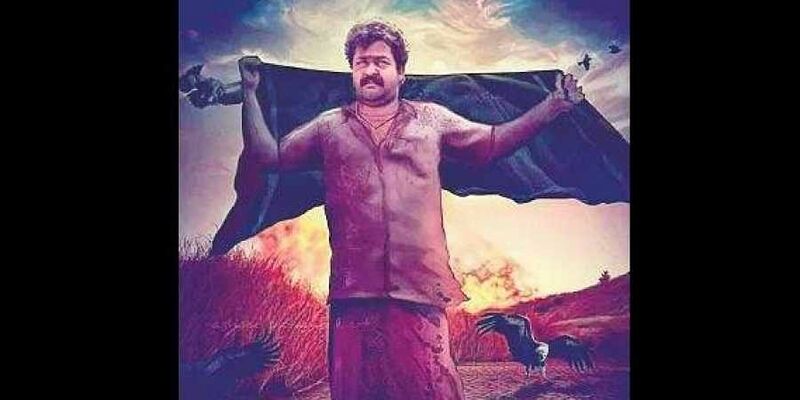 Normally in a dark story like this, you expect a heavy dose of melodrama, especially in Malayalam cinema. Thankfully, Bharathan stays clear of it. When the final confrontation happens, it's not bombastic or elegant. It's raw and chaotic. Can we imagine this film with other actors in place of Mohanlal and Salim? Balan's transformation is terrific -- brooding and quiet in the present but talkative and playful in the past. Though Mohanlal has done other revenge thrillers (Aryan, Season) before this, we don't see here a repetition of his performances from those films. And the creepy Salim Ghouse doesn't evoke anything other than disgust. Johnson's ominous score is memorable and perfectly enhances the overall atmosphere of the film.